This years Spring Summer collection has turned up some brilliant new styles form Peter Kaiser. This week I am thrilled to be talking about the new Albert-cut pumps called Iara. This classic shape has been given a renaissance (yes the pun is bad) but the style is fantastic. The Alexander McQueen Spring Summer catwalk show was a feast for the eyes, when the world saw Sarah Burton’s creations the question was raised how are we going to wear these styles on the street? The answer is that we mere mortals can not wear the beautifully adorned outfits that she has created, but instead we can resurrect those renaissance shapes and cuts with more wearable finishes. That being said the Iara is a patent finished leather pump that is perfect for a smart/ casual outfit and will look great with a mid length summer dress. The Iara is available in two colour choices, a Lana with white trim or a leopard print with black trim. The Iara has a smooth shaped toe leading up to the classic Albert cut shape front and minnie 10mm heel makes this very easy fashion to wear. 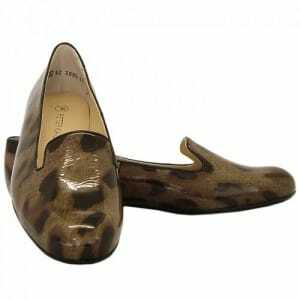 These Peter Kaiser pumps are a fashion staple for the summer season and will be wearable right into the autumn. The Iara has already created a storm on the social networks and is a popular new style in the shops. Take a look at the Peter Kaiser Iara high-top pumps today.